Would you like to be more creative and connect more? Are you someone who is curious in the creativity of your body to express itself? Possibly allowing your body to be in the drivers seat and your head in the passengers seat for the time of the meetup? This fun family workshop uses recycled material to make fantasy forest themed artwork. A zine workshop working with cut & paste, collage, writing, drawing, lettering, typewriter, etc! Make a collaborative zine using cut and paste, writing, drawing, rubber stamp lettering, and typewriter. Each participant will take away a copy of their zine. This free workshop addresses environmental issues by inviting people to reconnect to themselves, each other and the Earth. 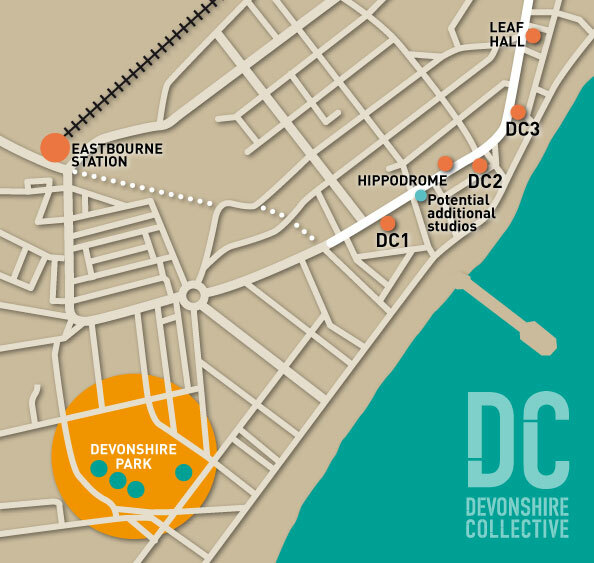 With work complete on DC1 Cafe and Gallery and DC2 Studios and Artist Makerspaces, we now have a range of exciting new artist spaces for hire.